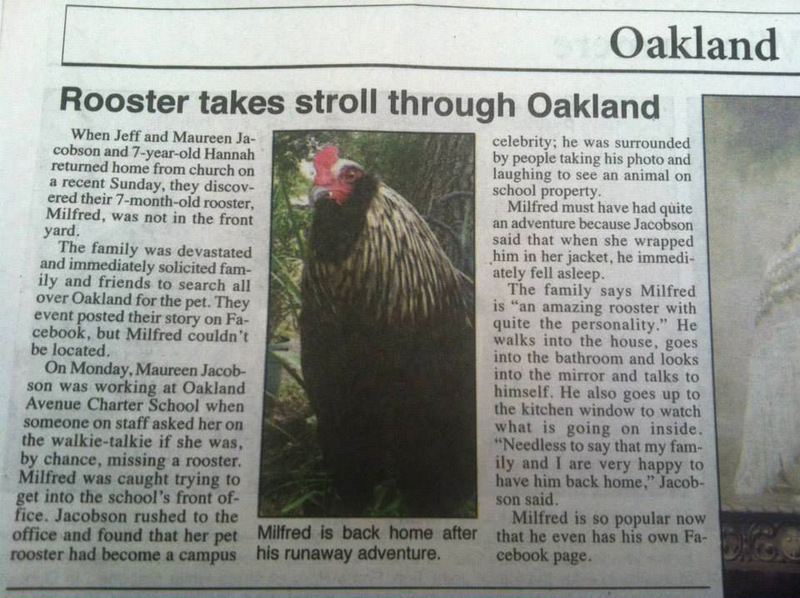 Local Oakland resident becomes author after pet Rooster makes the news! When Maureen Jacobson realized Milfred the rooster was missing after coming home from church one Sunday, she posted his picture on Facebook asking for help in finding him. 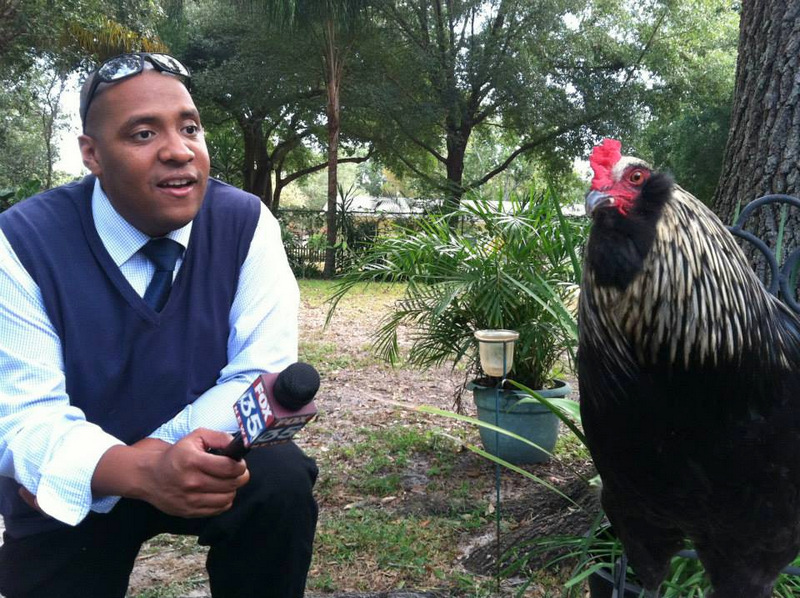 When Milfred was finally found the next day at the school where Maureen works, he was interviewed by Fox 35 News! The West Orange Times also wrote an article about Milfred's adventures. Maureen, "Mama Mo" thought the entire experience would make a fun children's book and decided to write everything down. Then, in January of 2014 she contacted a local Publisher who liked her story and decided to publish her book. With the help of many people from all over the country, Maureen was able to take pre-orders for the book and get it printed more quickly. Milfred Made The News was released to the public in November of 2014. That same month, Maureen entered her book in her very first book contest (Animals, Animals, Animals) and won an Honorable Mention Award. In December of 2014 she entered another contest (Florida Book Festival) and won another Honorable Mention Award. about from all of Milfred's adventures. There are actual photos from these incidents in the book! Maureen, a massage therapist and after school counselor had no idea she would be writing a book one day. She and husband Jeff and daughter Hannah have a small farm in their backyard near the West Orange Trail and Oakland Nature Preserve, which became part of Milfred's adventures in her book. 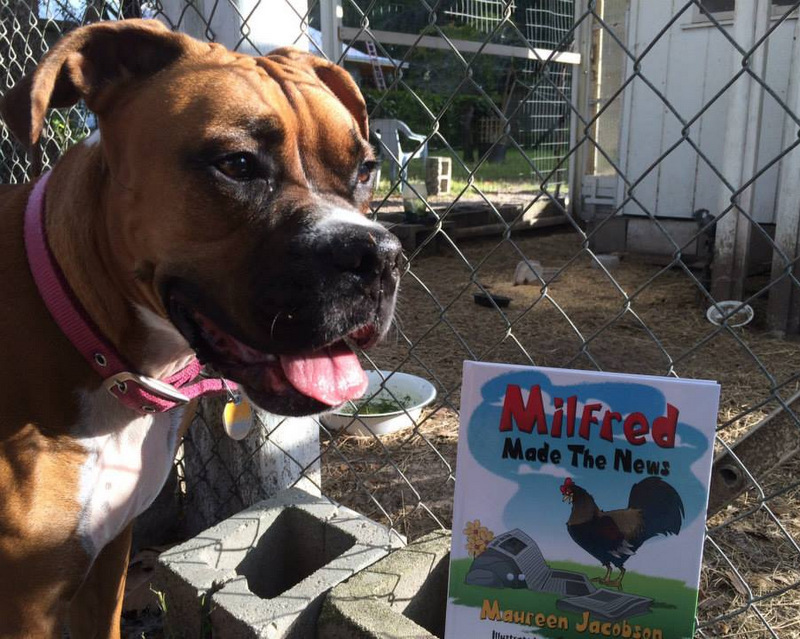 Milfred was hatched and raised by Maureen herself and has been a favorite on their farm along with their Boxer dog Bella. 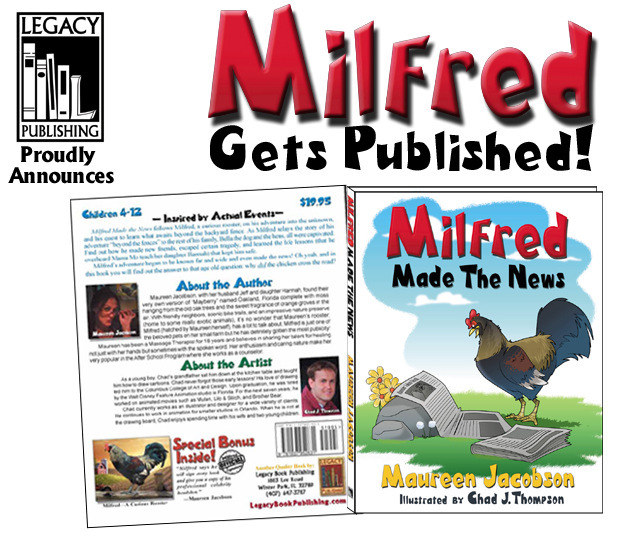 For so long the question has been“Why did the chicken cross the road?” Now author Maureen Jacobson answers that question in “Milfred Made the News.” ~Gary Roen nationally syndicated book critic. 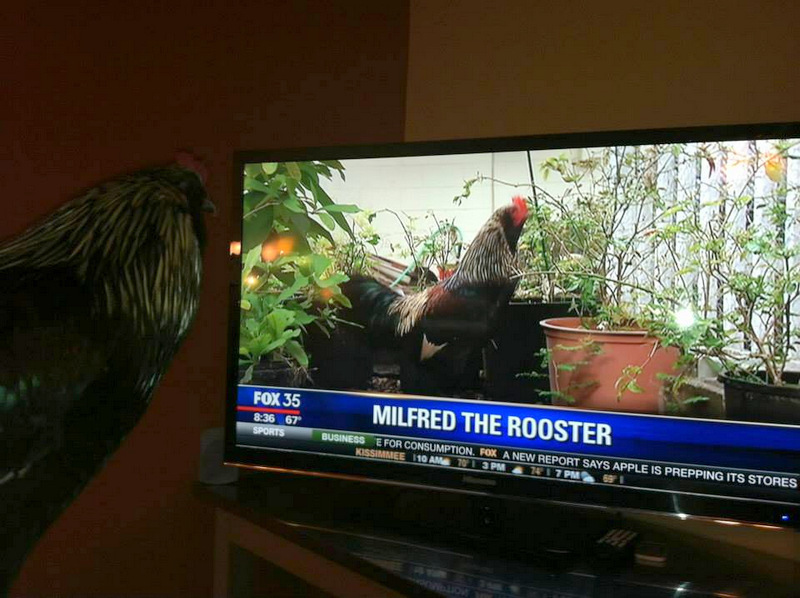 WATCH MILFRED ON THE NEWS! WINTER PARK, FLORIDA, February 2, 2015 – Legacy Book Publishing is pleased to announce the publication of Maureen Jacobson’s first book, “Milfred Made the News” illustrated by former Disney Studios artist Chad Thompson, who worked on such movies as Mulan, Tarzan, and Lilo and Stitch. 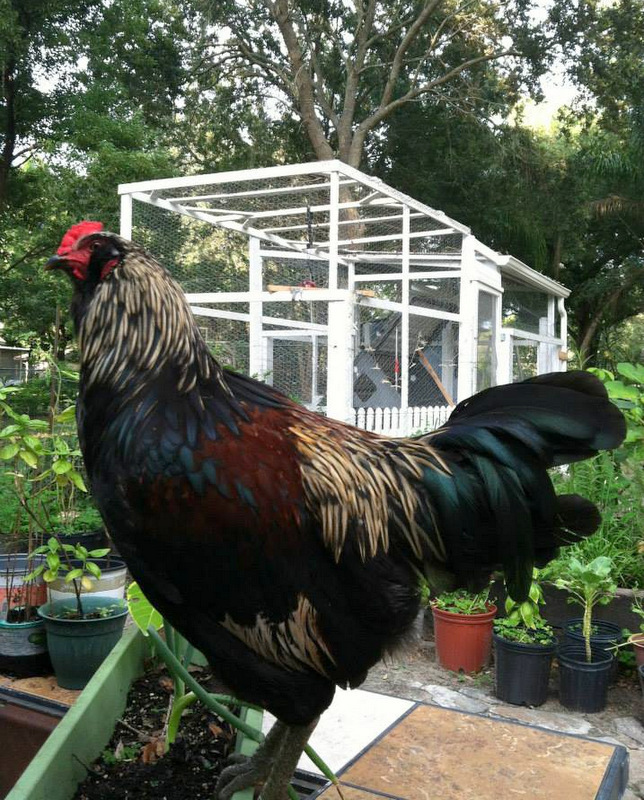 Milfred, the curious rooster, had quite an adventure that made him a local celebrity in his quaint little town of Oakland, Florida, known as the “Mayberry R.F.D.” of central Florida. Not only did he make the local newspaper he got interviewed on TV by the local Fox News affiliate. Maureen’s book is based on the real life adventure of Milfred the Rooster, who “flew the coop” one day from the family farm and was eventually discovered trying to find his “Mama Mo (Maureen)” at the office of Oakland Avenue Charter School where she works in the after school program. 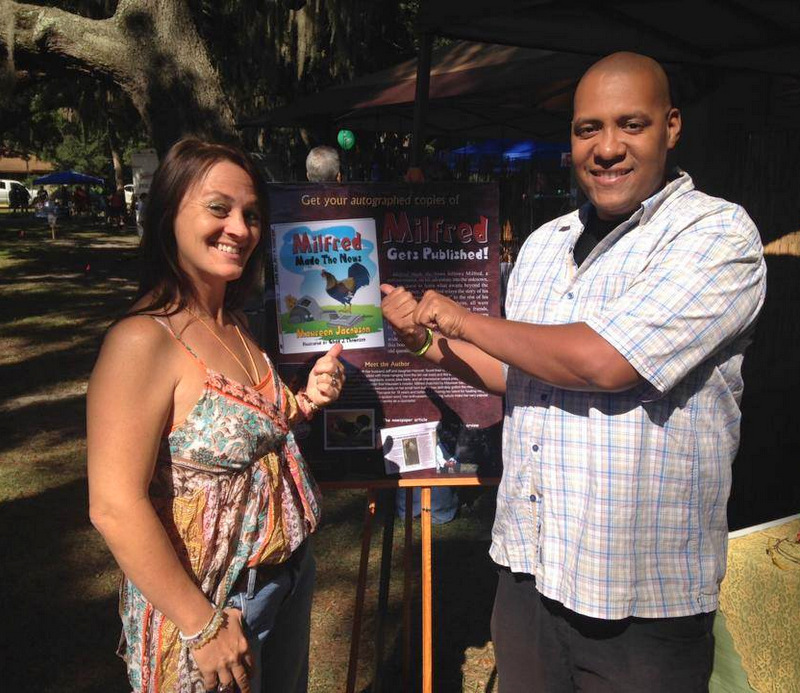 Milfred’s adventure appeared in a local newspaper just west of Orlando, Florida. As word spread of his adventures in Oakland he had to create his own fan page on Facebook. 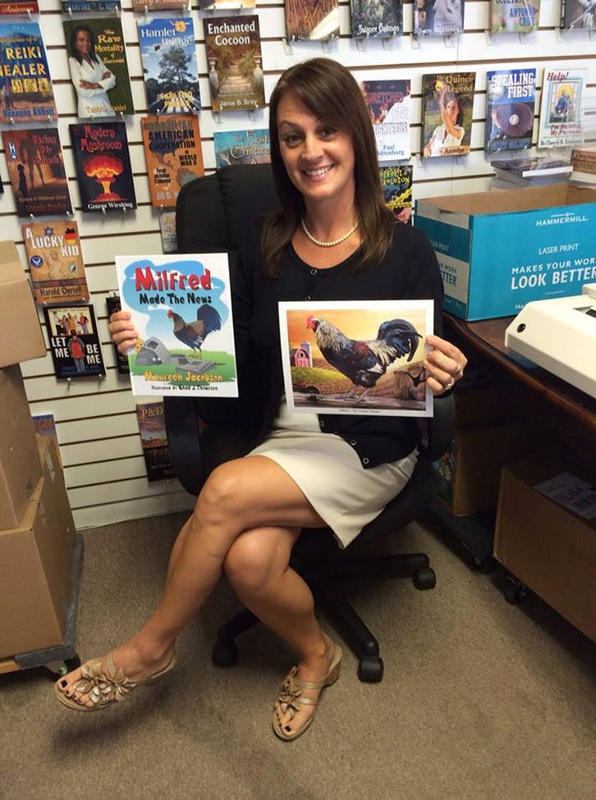 Local publisher, Legacy Book Publishing, fell in love with the story of Milfred and found an outstanding illustrator in Chad Thompson so “Milfred Made the News” the book was born. Milfred and Maureen now do book signings and appear for interviews. Milfred gives his thoughts from his very own Facebook fan page about current events. The hardcover book retails for $19.95 and autographed copies are only available online from Milfred’s own Website www.MilfredTheRooster.com and www.LegacyBookPublishing.com. Milfred will soon be available in bookstores everywhere through our national distributor Send the Light Distribution (a.k.a. STL Distribution) who regularly services independent bookstores and national bookstore chains like Barnes and Noble, Books-A-Million, Amazon.com and wholesalers like Ingram, Baker and Taylor, etc. through their Website www.STL-Distribution.com or (800) 289-2772. Maureen Jacobson lives with her husband Jeff and their daughter Hannah on a serene piece of land with an amazing vegetable garden and numerous fruit trees in beautiful Oakland, Florida. With neighbors such as a farm that has exotic and domestic animals, orange groves, a nature preserve and a bike trail, it’s no wonder that her rooster, Milfred, has a lot to talk about. As a Licensed Massage Therapist for 18 years, Maureen is known for her healing touch. She enjoys helping people through not only her massage, but through the spoken word. Maureen also enjoys working with children in the after school program at the town school keeping her young at heart. To request Maureen’s (or Milfred’s) appearance at book signings or to schedule interviews or speaking engagements, please contact Legacy Book Publishing. 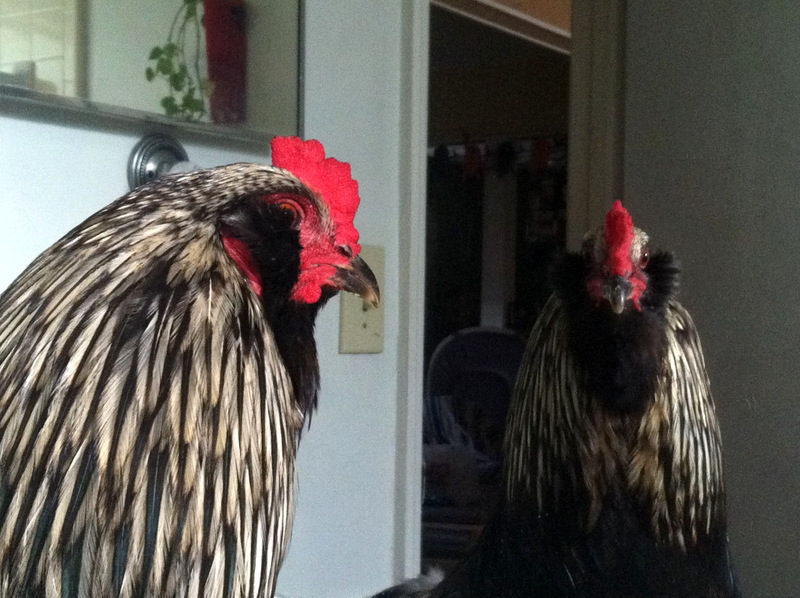 Milfred is an Americana Rooster that is very handsome and has quite the personality. He was hatched on April 14, 2013 and was the only survivor from his clutch. 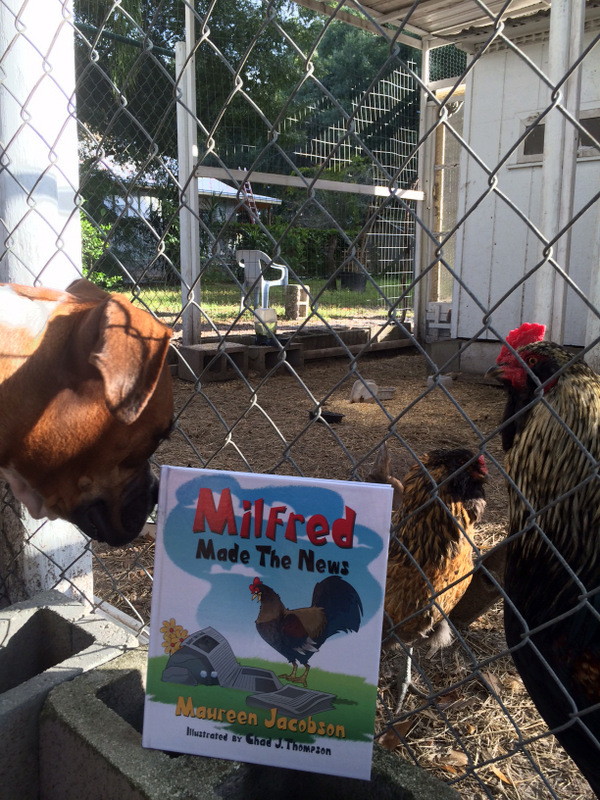 Milfred grew up with his best friend, Bella, a beautiful Boxer dog and several other hen friends.